Wharfedale has a history of over 75 years of setting standards in perfecting loudspeaker performance and are renowned for having the most integrated and thorough manufacturing and quality control process in the industry. 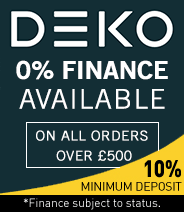 Their current range includes Reva, Denton, Diamond 11 and Diamond 200 series, D300 and vintage-look Heritage speakers as well as the newer bluetooth DS-2 speakers and Vista 200 subwoofer. Among the many glowing reviews and coveted awards Wharfedale has garnered from noteable industry critics, the DX-2 series has won 5 stars from What Hi-Fi and "Home Cinema Best Buy" while Diamond 11s have won "HiFi Chouce Recommended", "HiFi News Outstanding Product", "Home Cinema Best Buy" and "AVTech Media Awards". Every product and process in speaker design and manufacturing is handled in-house making it the most advanced research and development program, meaning that Wharfedale are able to design exactly to their own spec without limitation - and can exact this vision to perfection. Such design principles are evident in the finished product. 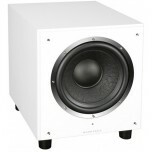 Wharfedale loudspeakers are so well regarded, above all, for their sonic excellence. Build quality is impeccable and design is focused - resulting in an overall product which is coherent and capable. 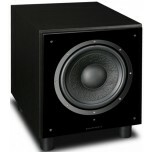 Wharfedale are an industry leader and consistently produce award-winning and industry-renowned loudspeaker products. Wharfedale has a 1.5m square foot dedicated manufacturing operation where every product and process occurs in-house resulting in the design of loudspeakers that form an acoustic engineer’s dream. Instead of using commercial components from a catalogue as many other ‘hi-fi’ manufacturers do, Wharfedale build each component from ground-up to attain harmony in audio reproduction and balance.